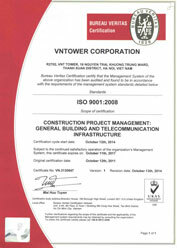 Founded in 2007, VNTower Corp specializes in telecommunication infrastructure, broadcasting, marine and energy. It offers services comprising engineering design, technical solutions, structural analysis and supply of steel towers and accessories. Moreover, VNTower Corp is fully capable of deploying turnkey services encompassing engineering design, civil works and equipment installation. Additionally, with its extensive network, the company has the capacity to provide a large number of qualified personnel, operating in the fields of project management services, construction management and construction supervision for telecommunication, infrastructure and civil projects. Over the years, VNTower has become a creditable and reliable supplier to large corporations such as Ericsson, Huawei, Beelines, AVG, VTV, ALT, Viettel, G-Mobile and VNM. Its products and services are trusted and used both domestically and abroad, including in the Philippines, Myanmar, Laos, Cambodia, Papua New Guinea, Haiti, Mozambique and Malaysia. 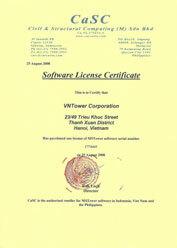 VNTower has offices in Hanoi-Vietnam, the Philippines-Manila and Myanmar-Yangon.